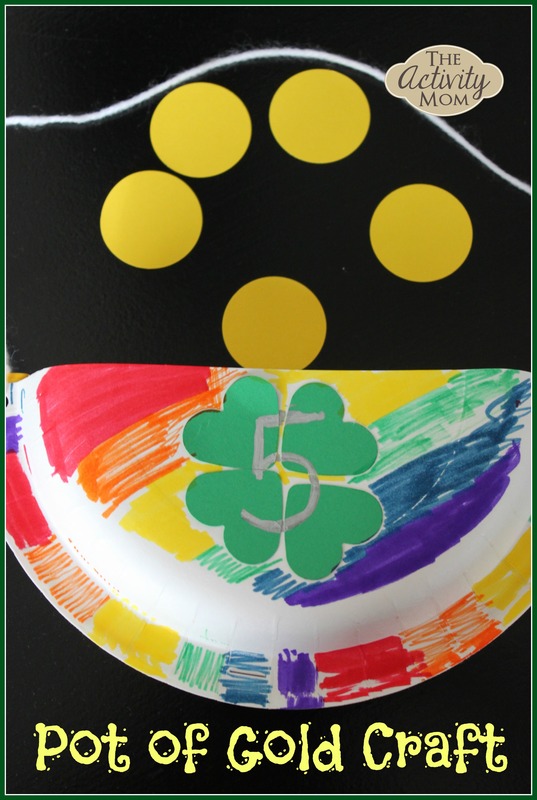 A pot of gold at the end of the rainbow is the theme for this St. Patrick’s Day preschool craft. 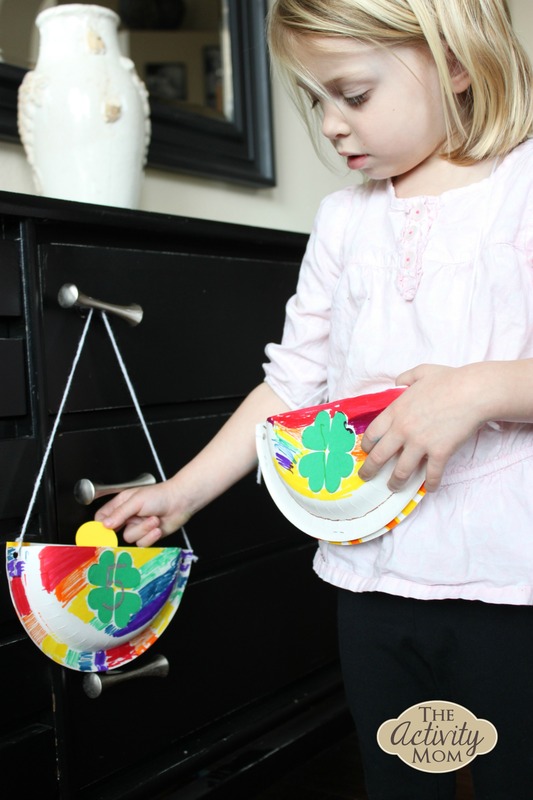 Your pot of gold can turn into a purse (like ours did), a mailbox to count gold coins into (we tried that too), or a place to keep all of your treasures. 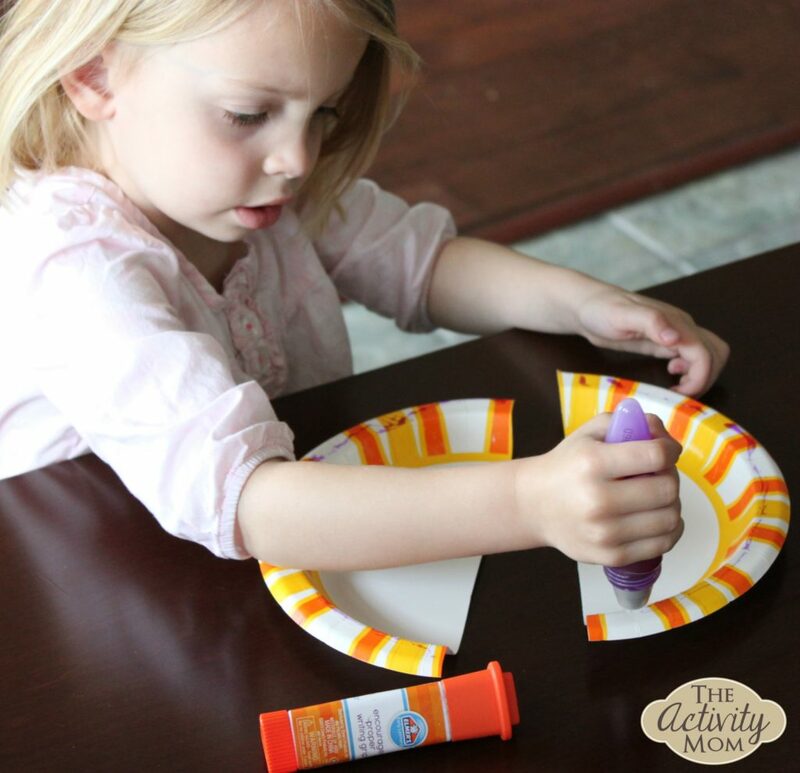 Cut a plate in half and glue around the inside edges. Press the two halves together. 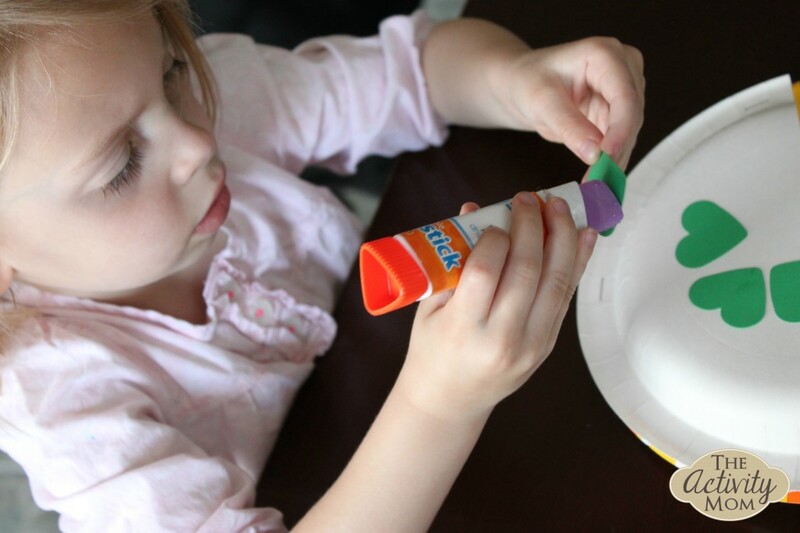 The Elmer’s Early Learners Glue Pen works great for this step because you can squeeze just the right amount of glue out without a huge mess and it goes on purple and dries clear so you can see where you have applied the glue. Decorate your pot of gold with paint, markers, or glitter. 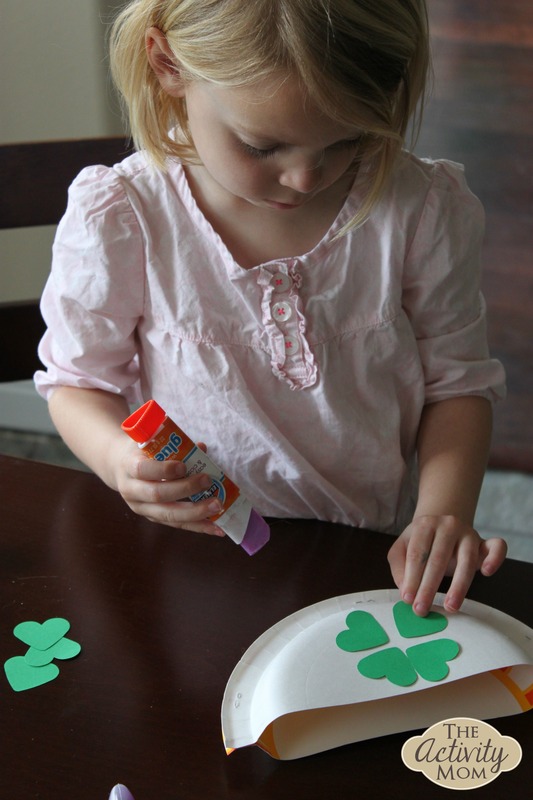 Cut out 3 or 4 hearts and line up their points to make shamrocks. Glue your shamrocks onto the pot of gold. We used the Elmer’s Early Learners Glue Stick which I love because of the triangular shape and angled tip which helps to develop the proper writing grip. I should also add that it doesn’t roll away which is an extra bonus! Punch a hole on each side and attach a piece of yarn or string. 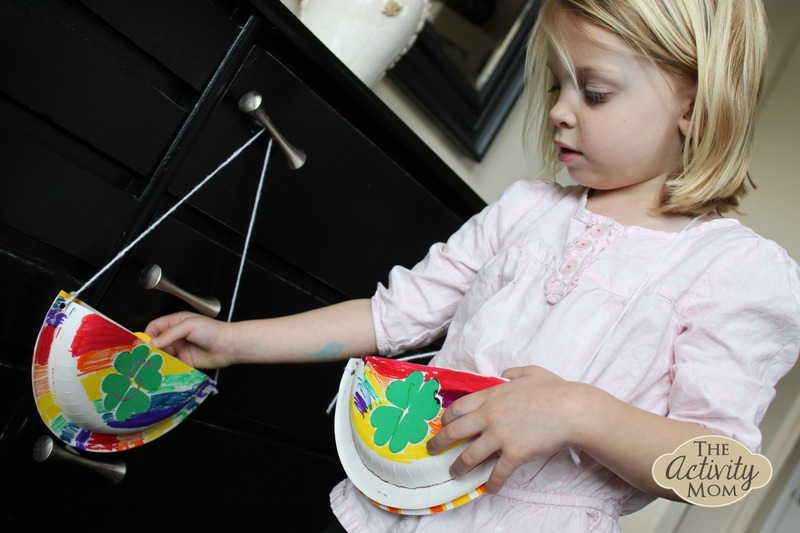 First, our pot of gold became a colorful purse that has inspired hours of pretend play. Then, we delivered and counted “gold coins” (circles cut out of yellow paper) into other pots of gold. What is the number on the shamrock? 5! So she added 5 gold coins to that pot of gold. 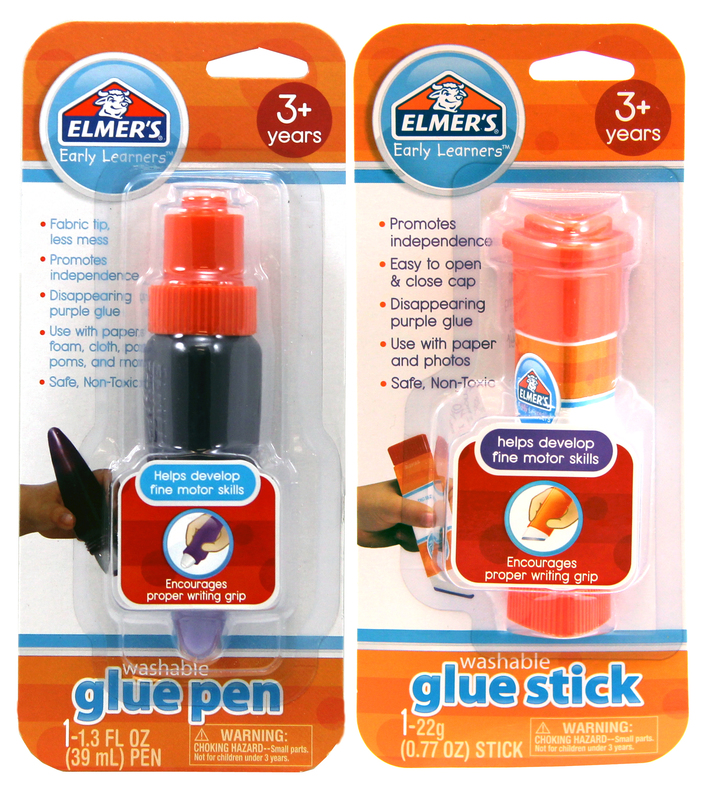 WIN your own set of Elmer’s Early Learners Glue AND $25 for craft supplies! Just leave a comment below to be entered to win! 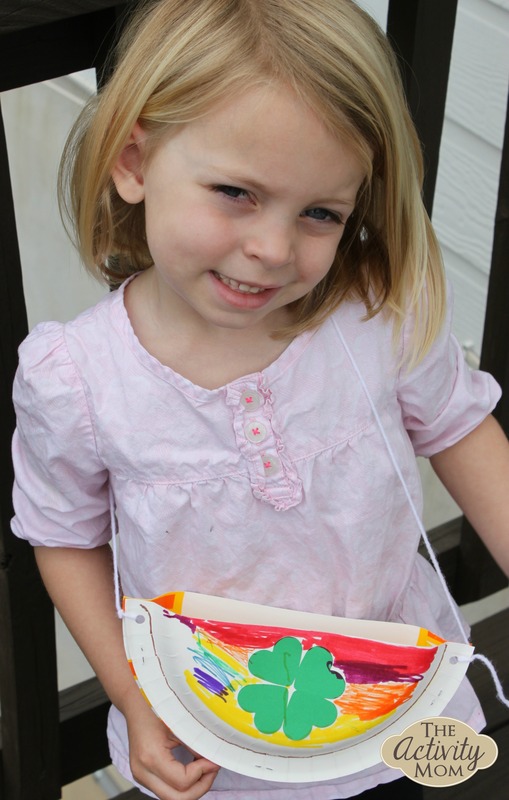 This craft and giveaway is sponsored by Elmer’s Early Learners Academy. The opinions and ideas are my own. Target Read With Me and IPAD GIVEAWAY! Another great idea! Thanks so much for sharing!! This is an awesome product! 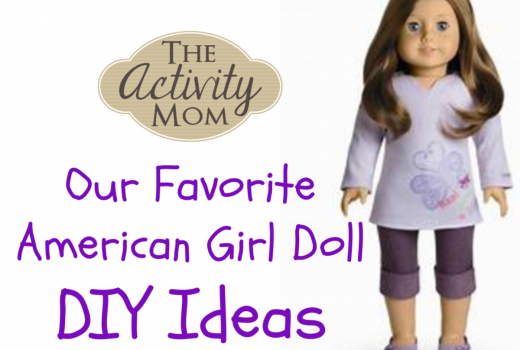 Thanks for the review, craft idea, and giveaway. Very fun! We’ll be trying this out next week. This is a cute idea. I have paper plates, glue, and construction paper. I might have to try this with my youngest son. I love this idea! I will be trying it with my youngest! YOU WON! I’ll contact you via email. Got it! I replied. Thanks so much! I love all of your ideas! Thanks for the giveaway! I love how easy it is to open and that it is non toxic! Its great that you had time together, too! Great craft. Thanks for sharing! I love their new products! Such a cute idea. Thanks for the chance to win!